I will admit, it snuck up on me this year. I sat down to what I was expecting to be a fantastic lunch at Rye on Friday — then my day got even better. I was handed Rye’s menu for Kansas City Restaurant Week. The best part is that I didn’t even have to adjust my planned ordering (the usual “close as I can get to one-of-everything without looking totally ridiculous” plan) to take advantage. That’s the great part of restaurant week. You can visit one of your longtime beloved eateries and perhaps get a steal-of-a-deal on some favorites, or check out some place totally new for a sampling of their best. With $15 multi-course lunches and $33 dinners, who can resist! And don’t forget donations raised during KCRW go to local charities. And this year, three new organizations are the beneficiaries: BoysGrow, Children’s Center for the Visually Impaired (one very close to my heart) and Cultivate Kansas City. Tomorrow I’m grabbing lunch with some girlfriends and it’s a hard decision of just what we should try. Maybe Affare, Extra Virgin, BRGR (the selection for their lunch is extensive! ), or Collection. All those menus look delicious. I think I need more than one girls lunch this week! As for my experience at Rye, it was one of the most satisfyingly delectable visits I’ve had there…and I haven’t had any I didn’t like. 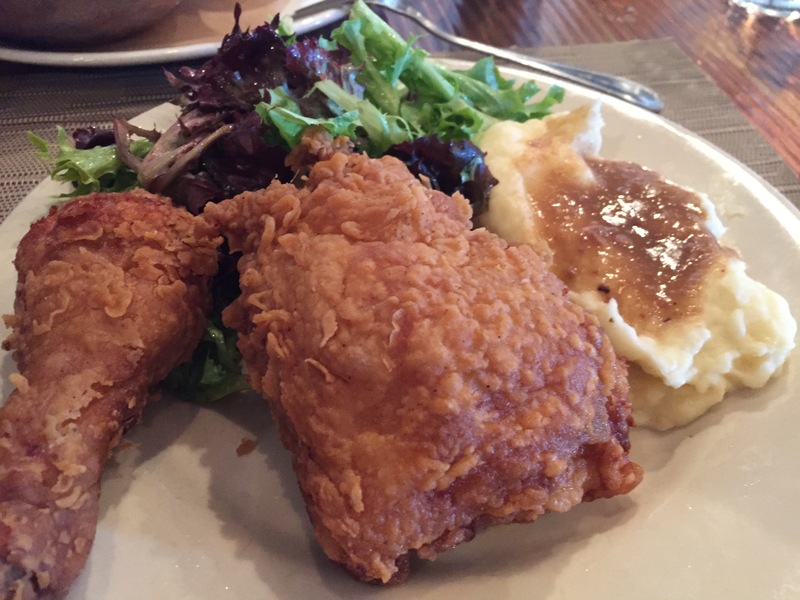 The fried chicken is hands-down one of the best in Kansas City. If you have not tried it, you should add it to your list of new year’s resolutions! Even the simply dressed farmer’s greens, served alongside several dishes, are addictive. If I could make a basic side salad taste this good at home, i would much thinner! 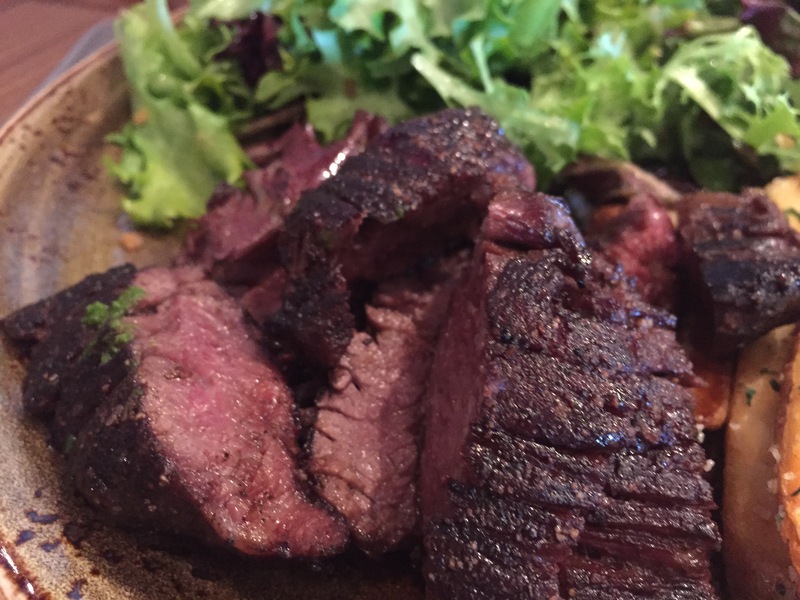 The other shining star on Rye’s menu (besides the shrimp & grits) is the tender and ultra-flavorful hanger steak. Succulent and rich, each bite of steak melts like butter in your mouth. The bright green chimichurri sauce takes superb beef and makes it absolutely quintessential. And the fries…..just perfect. 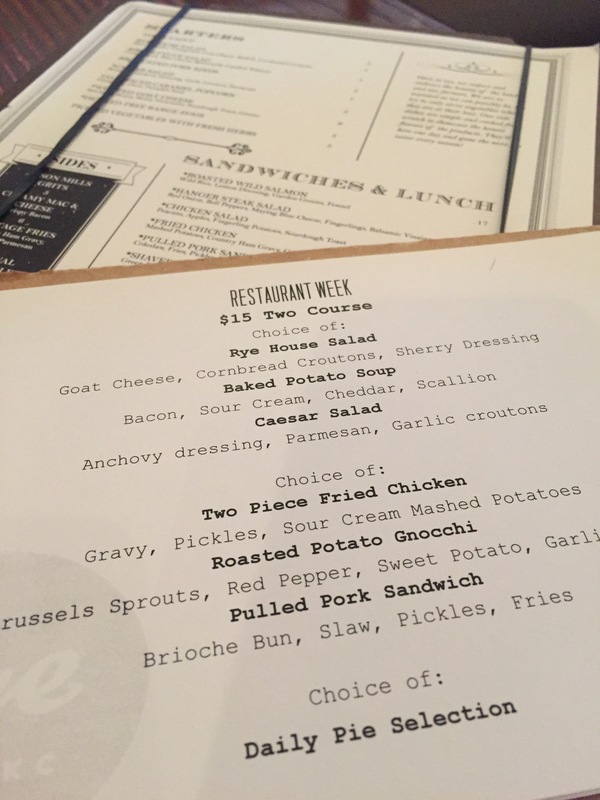 While the steak is not an option for the restaurant week lunch menu, IT IS on the KCRW dinner menu!! Woohoo!! So check out the complete list of participating restaurants and make your reservations. There’s a lot of good eating – and great deals – out there Kansas City!